In 2016 collecting Moorcroft Pottery remains enormously popular with salerooms seeing quite a broad range of buyers still bidding at auction. Auction prices do fluctuate, with Moorcroft powder blue pieces selling for as little as twenty pounds, but prices can easily climb to five-figure sums for the largest pieces from the early William Moorcroft Florian range. Early Moorcroft patterns in the Art Nouveau or Arts & Crafts styles are probably the most sought after. 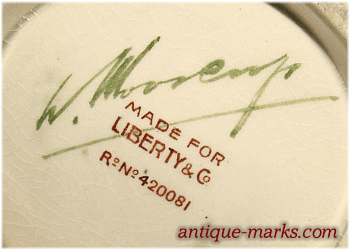 The later Walter Moorcroft designs can attract considerably less interest but still sell well. While more recent designs have been widely collected, some of the modern limited edition pieces and particularly those featuring Sally Tuffin designs do bring substantial sums. The early Walter and particularly the William Moorcroft signed pieces are the most sought after. Pieces in less than perfect condition usually receive more muted responses unless they are very rare. Underglaze crazing can be quite common on flambe glazes and on the earlier richly glazed William Moorcroft pieces. The Bamboo & Orchids vase that sold for £10,000 at Woolley & Wallis in 2011. If you have the budget those are certainly the type of Moorcroft Pootery pieces to invest in. 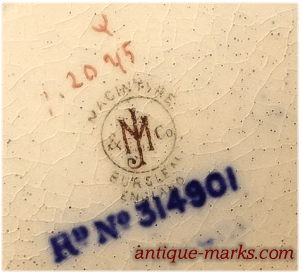 Both William & Walter Moorcroft’s experiments with high-temperature flambé glazes, using a special kiln built in 1921, produced some interesting and rare lustre wares that are currently attracting huge interest. As are advertising wares or patterns made exclusively for export, such as Waratah which is decorated with the state flower of New South Wales. The Moorcroft Pottery ranges bearing period metalware, such as those with silver or pewter mounts retailed by Liberty & Co., or the all-over silver decoration applied in America for sale in stores such as Tiffany in New York, also command a premium. Collecting Moorcroft Pottery miniatures in most patterns, is a collecting field of its own. Some smaller rarities from the William Moorcroft Macintyre era and miniture flambe glaze pieces can command large sums similar to the sale prices achieved for full-size pieces.